Ellen Riley’s 25 years of complex administration experience, in-depth case knowledge, and process expertise make her an invaluable asset in all aspects of GCG’s administrations. During her tenure at GCG, she has held leadership roles in both operations and quality assurance, and has been integrally involved in more than 1,000 matters, including many of GCG’s mega-fund administrations. Ms. Riley currently oversees GCG’s Testing and Risk Management teams, which comprise professionals with a variety of relevant backgrounds from CPAs, to securities experts and data experts, who are tasked with examining, reviewing, testing and checking GCG case-specific systems deliverables and operational best practices to ensure consistency and company-wide adherence to GCG standards across all offices. Ellen Riley’s 25 years of complex administration experience, in-depth case knowledge, and process expertise make her an invaluable asset in all aspects of GCG’s administrations. During her tenure at GCG, she has held leadership roles in both operations and quality assurance, and has been integrally involved in more than 1,000 matters, including many of GCG’s mega-fund administrations. Ms. Riley currently oversees GCG’s Testing and Risk Management teams, which comprise professionals with a variety of relevant backgrounds from CPAs, to securities experts and data experts, who are tasked with examining, reviewing, testing and checking GCG case-specific systems deliverables and operational best practices to ensure consistency and company-wide adherence to GCG standards across all offices. She is also responsible for helping GCG maintain the most rigorous quality control, fraud prevention and regulatory compliance programs in the industry. 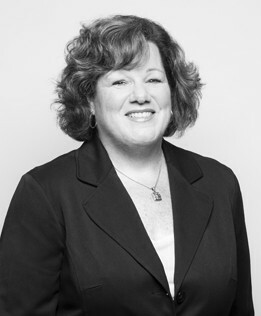 During her 25 year tenure, Ellen has played an instrumental role in many of GCG’s most complex matters, including most recently the $2.3 billion Bank of America Corporation Securities Litigation, along with the $6.15 billion Worldcom Securities Litigation, the $1.1 billion Royal Ahold N.V. Securities & ERISA Litigation and the $3.05 billion Visa Check/Master Money Antitrust. Having a primary responsibility for large claims, complex calculations, and keen attention to detail, it is to Ellen’s credit to note that in each of the seven independent audits of GCG conducted over the years, independent auditors have found GCG’s claims processing to be at least 99.97% accurate. Prior to joining GCG, Ms. Riley handled daily investment activity for real estate clients at a major banking institution.